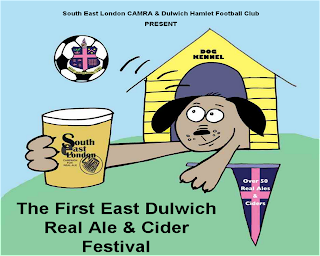 For three days from Thursday 2nd May, Dulwich Hamlet FC plays host to a beer festival organised by South East London CAMRA, with over 50 beers from brewers like By The Horns, Dark Star, Hackney, Skinners, & Windsor & Eton, plus ciders and perrys, and hot and cold food. Get involved! "Thursday 2nd. 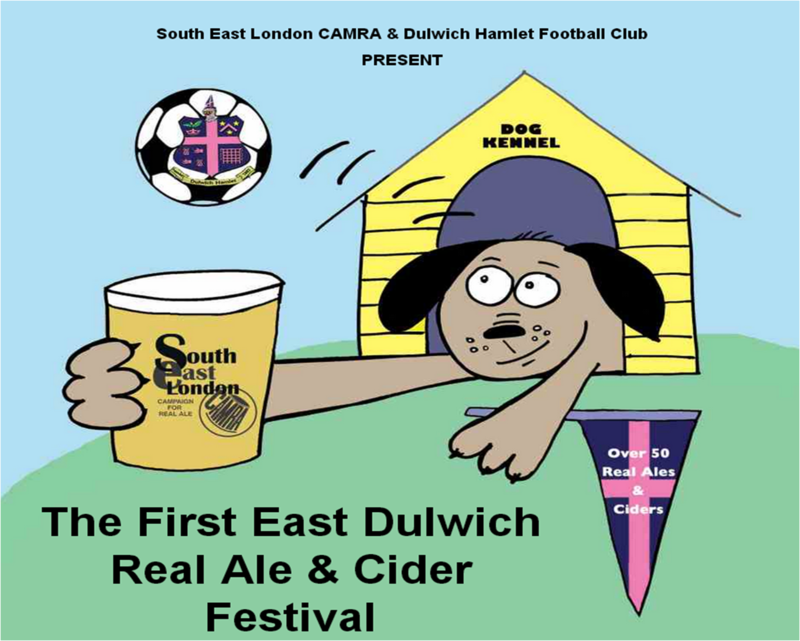 May Sees the inaugural Dulwich Hamlet Beer Festival, organized by the South East London Branch of CAMRA (Campaign for Real Ale). Perhaps surprisingly S E London hosts some of the finest real ale pubs and bars in London as well as several new micro breweries. This is reflected in the selection for the festival, which includes over 50 beers, and 25 ciders. This can be seen part of the foodie revolution sweeping the area as found in venues such at Brockley Farmers Market. SELCAM is one of the UK’s biggest CAMRA branches with over 1200 members, holding regular meetings, and visiting pubs all over the area. We will also have beer from the local Brockley Brewery which will be making its 1st. ever festival appearance. The festival will be officially opened on the Thursday evening by Dulwich comdian Stephen Frost, who ironically was once the face of Carling Black label. All in all a treat in store for real ale lovers and those who would like to try this most wonderful of our native beverages"